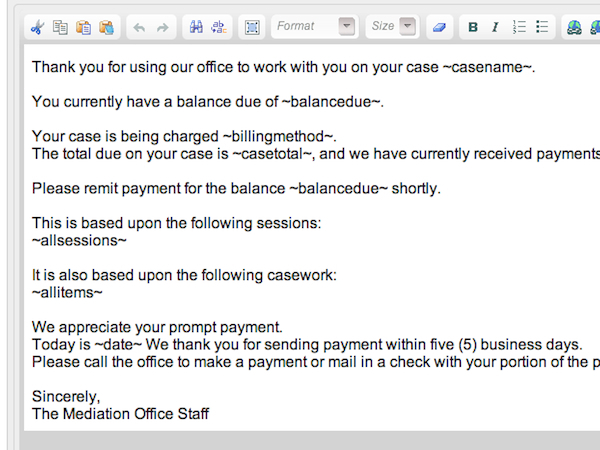 Caseload Manager can be used to invoice your clients. 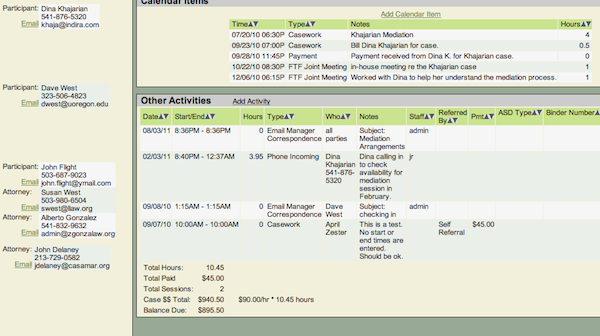 You can create an invoice in your mail manager, then email or print your invoices. 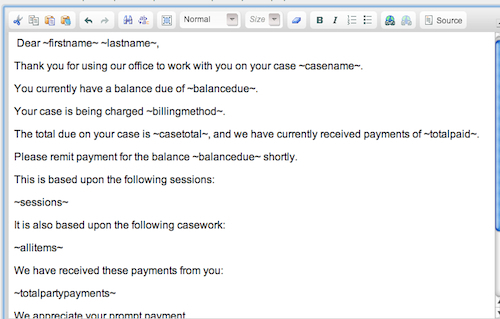 To invoice clients, you can write out a customized invoice for each client or use a template. We have a template invoice here that you may copy into your Caseload Manager (or you may create your own in Microsoft Word). 1) Begin by opening the case for which you need to invoice. Choose who you need the email to go to and click their email link (Party 1, All Participants, All Attorneys, etc.). 2) After you click the Email link, the Mail Manager will open in a new tab or window. In the Mail Manager you may type your own invoice, or use one that you have already created in your Stored Templates list. Simply select your invoice, then hit "Edit & Send." 3) Your invoice will appear in your editing window. 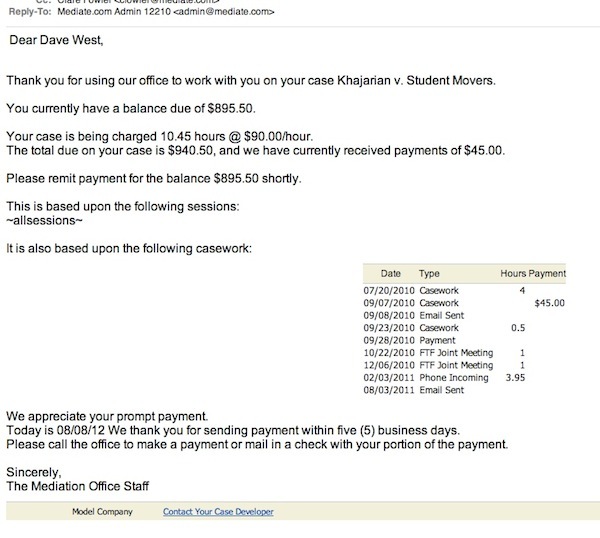 You can send a summary Invoice, showing only the Balance Due. Copy our proposed template invoice here. Simply edit your invoice to only show the relevant information. 4) You can also send a Detailed Invoice. A Detailed Invoice will begin by telling your clients their Balance, but it will also send them a summary of all billable items, activities, and sessions. Copy our proposed template invoice here. 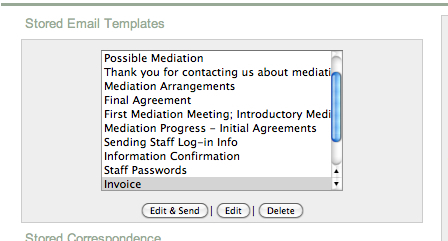 5) Your clients will receive an email with their corect information filled in. Please note when sending a Detailed Invoice, you can choose to list All Activities or All Sessions, depending on how you charge your clients. The billing payment that you use will be filled in; the billing payment that you don't use will be left blank. This is shown in the Detailed Invoice email below, where ~sessions~ remained blank and ~allitems~ is populated with all of the Activity Items related to that case. You may also include ~totalpartypayments~ .